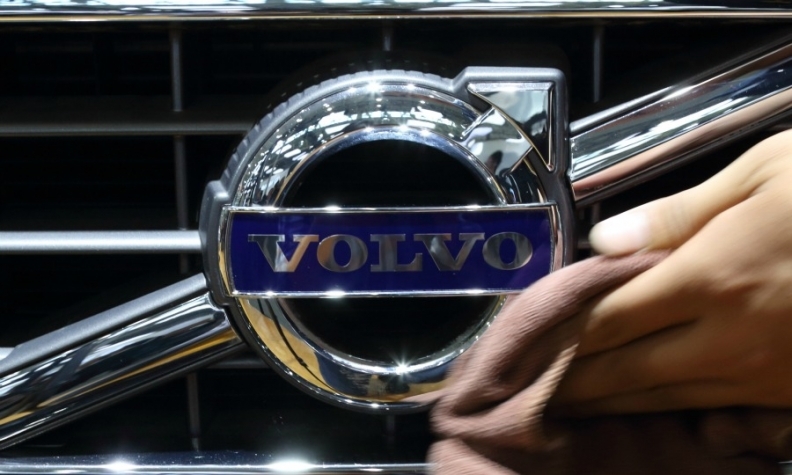 STOCKHOLM -- Volvo reported a 78 percent rise in third-quarter operating earnings on Friday and said it saw strong sales growth in China and continued signs of recovery in the U.S. market. Volvo posted quarterly operating earnings of 3.7 billion Swedish crowns ($442 million) against 2.1 billion crowns in the same quarter last year. Net sales rose to 48.9 billion crowns, up from 41.3 billion crowns a year earlier, the company said in a statement that attributed the earnings gain to higher volumes, a “positive sales mix” and the sale of licenses. Volvo also repeated its forecast for a fourth straight year of record sales in 2017. "For the full year 2017, I anticipate continuous growth in line with the previous nine months," Volvo CEO Hakan Samuelsson said in the statement. "The results so far demonstrate that we are heading in the right direction." "In China, we have seen a strong growth in sales and our local manufacturing footprint supports our local expansion," Samuelsson said, adding that the US has been showing signs of recovery since the beginning of the year, when Volvo sales were impacted by delivery constraints. Under Chinese ownership since being bought by Zhejiang Geely Holding Group from Ford Motor in 2010, Volvo has begun taking on larger rivals such as BMW and Daimler's Mercedes-Benz, carving out a niche in the premium market with a string of new models such as the XC90 SUV.